Team Red Shift of K.J. 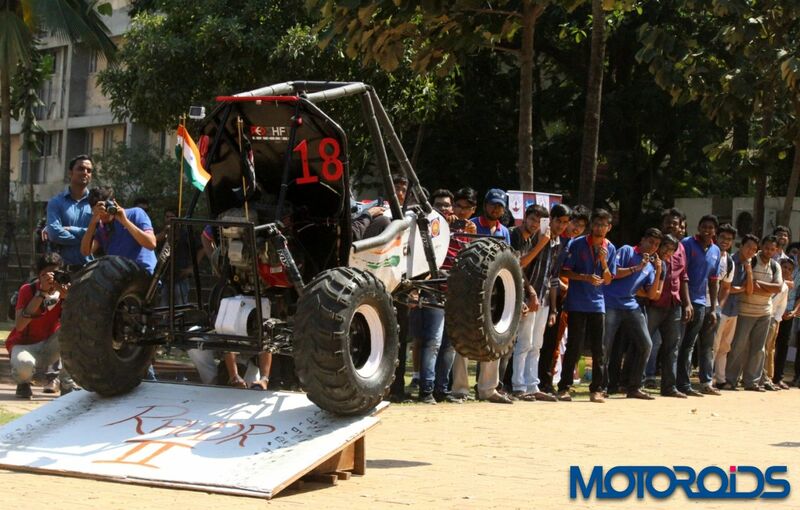 Somaiya College of Engineering showcased their Ruader ATV today. At the SASOL BAJA 2014, the it was the only Indian team amongst all other colleges to represent India in the competition held in South Africa. The team was applauded, appreciated and acknowledged in four segments of the competition which secured them 10th position in overall rankings. Red Shift Racing team won 1st position in Sales presentation segment, 4th place in Car Design Evaluation, 6th place in Design Report and also got the 1st Social Team award. Powering the single seater ATV is a 305cc mill good for 10HP. The vehicle can reach a maximum speed of 55 kmph. The RAUDR II includes lighter gear box providing great torque for the hill climb up to 45. It also incorporates alloy steel instead of aluminium, lighter wheel hubs weighing merely 400 grams and turning radius of 2.85m. The ATV’s engine has been coupled to Continuously Variable Transmission (CVT) for its power transmission. The team took a period of two months to design the car based on their concepts and another three months to manufacture and accomplish their dream racing car. Team Redshift has used mild steel tubes to frame the entire chassis as light as possible. To give higher strengths to critical components Alloy Steel (EN36) was used. The ATV has better power transmission, all-wheels-locking Brakes system, infinitely adjustable Pneumatic Shock absorbers and Glass fibre for bodyworks that ensures a better appearance and durability of composites. 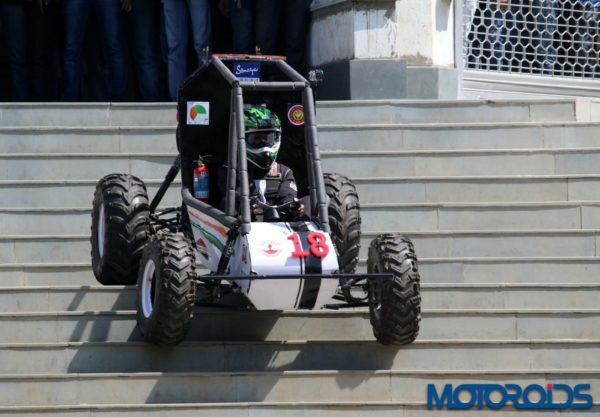 Speaking on the achievement Ms Shubha Pandit, Principal K. J. Somaiya College of Engineering said, “RAUDR II car is designed specifically for rough terrain racing.This achievement became possible through the hard work and labour that the students put in throughout the year. The project promoted leadership, problem-solving techniques and business skills throughout the entire process of designing and building. The inclusion of fresher’s in the team has also helped in reducing repetitive and non-value adding work”.